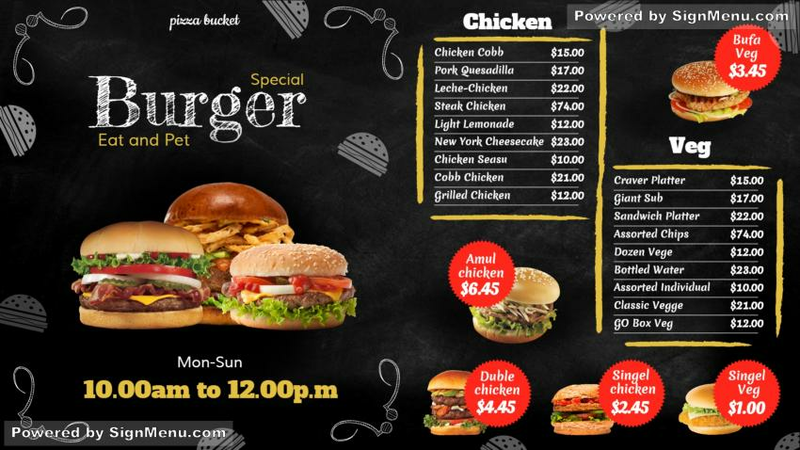 This template showcases a burger fast food restaurant's menu. This template, with graphics, could ideally be advertised on a digital signage screen on the restaurant's premises. This would entice your potential customers to come into the restaurant for a bite...or two. And make your bottom - line healthier. This template is ready for download and use.